Special clinical interests in breast, gastrointestinal cancers and haematology. Yvonne completed her general medical training in Western Australia before moving east to the Peter MacCallum Cancer Institute in Victoria to complete her training in radiation oncology. The offer of a fellowship in breast cancer at Westmead Hospital saw her move to Sydney, and this was followed by a position as a consultant radiation oncologist at the Prince of Wales Hospital in Randwick. In 1999, Yvonne moved to Boston for a clinical fellowship at the renowned Massachusetts General Hospital. On her return to Perth, she began working as a consultant radiation oncologist at Perth Radiation Oncology and joined GenesisCare in 2011. 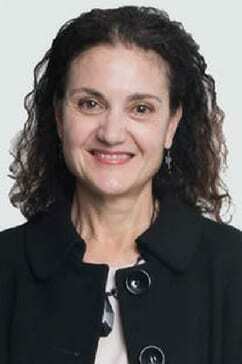 Yvonne is President of the Australasian Society for Breast Disease (ASBD), and conjoint lecturer at ECU and UWA. She sits on a variety of committees including the Genesis CancerCare national research committee, the Royal Australian and New Zealand College of Radiologists (RANZCR) education and training subcommittee, and the Breast Cancer Research Centre research committee. Yvonne is a member of the Trans Tasman Radiation Oncology Group (TROG), the American Society for Radiation Oncology (ASTRO), the European Society for Radiotherapy and Oncology (ESTRO), the Australasian Gastro-Intestinal Trials Group (AGITG), and the International Radiation Oncology Lymphoma Group. Yvonne has a strong interest in clinical research and is an advocate for cancer patients. She has been involved in or written over ten published articles, predominantly on pancreatic or breast cancer. While Yvonne treats predominantly breast, lower gastro-intestinal, upper gastro-intestinal and haematological cancers, she is also interested in patient satisfaction, the impact of exercise on cancer patients, and how a patient’s cancer journey can be improved through treatment.